Impressive 3 Bedroom 3 Bathroom townhouse with attached oversized 4 Car Garage (under building) located in the desirable gated community of The Landings at Coral Creek. 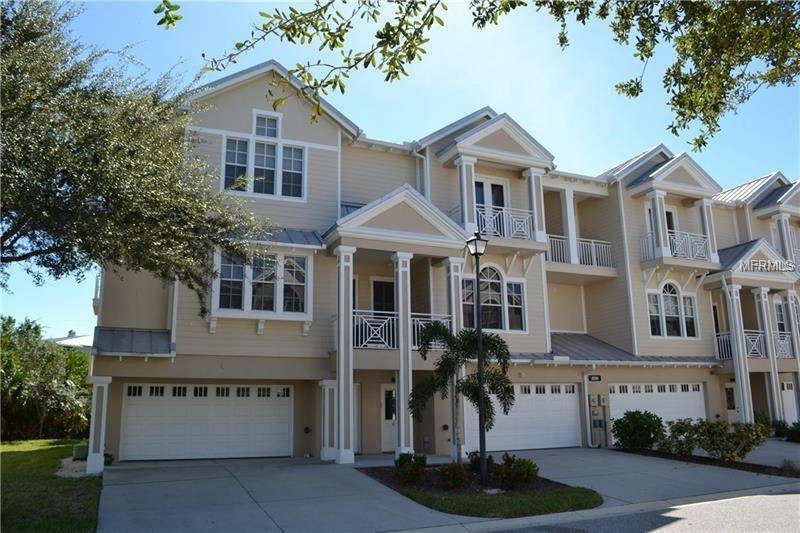 This luxurious light and bright townhouse features a fabulous LAGOON/LAKE VIEW and offers a Living Room, separate Dining Room with large windows and tile floors, well appointed large Kitchen with dining area, screened/covered lanai and Inside Laundry. The Kitchen features wood cabinets, granite counters, subzero refrigerator, closet pantry, under cabinet lighting and island with breakfast bar and sink. The Master Bedroom as a walk in closet, lanai access via sliding glass doors and private bathroom with dual sinks, garden tub and separate shower. There are two guest bedrooms and one also offers lanai access via French doors. Other features include private elevator, crown molding, cathedral ceiling on second floor, 10 foot ceilings on first floor. Landings at Coral Creek is a resort style community with heated community pool, tennis court, and spectacular clubhouse with fitness room and fireplace. Construction has started on a courtesy dock at the Landings which will be a kayak and canoe dock for access to Coral Creek. Minutes to gulf beaches, golf, boating and great fishing. This townhouse will not disappoint!